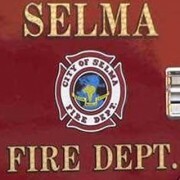 SELMA – The Selma Fire Department has had their ISO insurance rating upgraded from 5/7 in prior years to 3/3x. The new rating will be effective July 1, 2014. The change impacts many residents and businesses that currently pay a higher premium due to the present ISO rates. Fire agencies are rated on such factors as emergency communications (10%), review of fire department (50%) and adequacy of water supply for fire suppression (40%). The first number is an indication of the Fire Department’s ability to provide fire suppression to the community based on staffing, training and response effectiveness, while the second is a ranking of available water for fire suppression ( fire flow supply). California Water Service is Selma’s contract provider. A “1” is best. ISO is the leading supplier of data and analytics for the property/casualty insurance industry. Most insurers use Public Protection Classification Program (PPC) for underwriting and calculating premiums for residential, commercial and industrial properties. They use PPC information as part of their decision-making when deciding what business to write, coverage to offer or prices to charge for personal or commercial property insurance. The Selma Fire Department recently contracted out the ambulance service, allowing the department to increase staffing on fire apparatus. This change impacted fire service and the agencies that review it for insurance purposes. Fire rankings for some East side agencies include Reedley Fire Department (4), Sanger Fire Department (4), Fresno County Fire (9), and Kingsburg Fire Department (5).